Graffiti is a perfect way to bring back to life any grey, boring and plain parts of the neighborhood. It can transform any space into a more welcoming and inviting area with great art. But no matter how much we try to prevent it, graffiti comes also in the form of vandalism that is a nightmare for most of us nowadays. No building can truly be considered safe from this, and even at greater heights, people will find ways to deface a structure. Graffiti can become a truly repelling sight, driving away potential clients and business partners. With R.A.I.L., you can consider it gone and the walls of your building completely clean. Graffiti spots can often be very hard to reach, so oftentimes it is hard to remove through traditional means. That’s why R.A.I.L. offers a rope access service to clients struggling with graffiti removals. 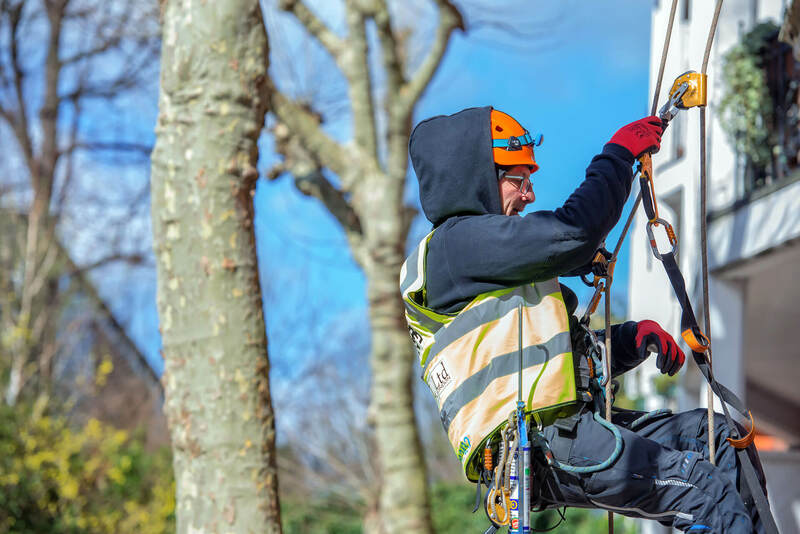 Using a set of ropes, our rope access technicians can climb and descend very high walls and perform a variety of tasks unencumbered, making them a perfect choice for disposing of graffiti in a way that is both reliable and completely safe. We make sure to use only sustainable methods that are safe for both the people that are around and the environment. Try out our professional knowledge and get rid of the repelling graffiti that sickens and angers you quicker than you think is possible! Choose R.A.I.L. services and enjoy the clean space! A properly painted roof will be resistant to mildew, algae, fading and peeling. It’s cost-effective and lowers energy use.